Announcement Welcome to knitter (formerly mama roots) where I truly believe in the power of crafting to slow down and connect with ourselves and each other. I love to play with wood and wool and enjoy sharing it here with you. Grab a cup of tea and take a look around. Current turn around on most made to order items except the calendars is about 6-8 days. I will post on Instagram and Facebook when I am getting ready to update listings, particularly the calendars so be sure to follow me there. Thank you so much for all of your support and choosing natural materials in your world. My toys are naturally made from raw wood, using certified non-toxic watercolor washes and 100% natural beeswax polish. Knitcher is a registered Small Batch toymaker with the CPSC, and member of the Handmade Toy Alliance. I used AP Certified non-toxic watercolors. All my toys are small- not intended for children under 3- choking hazard. 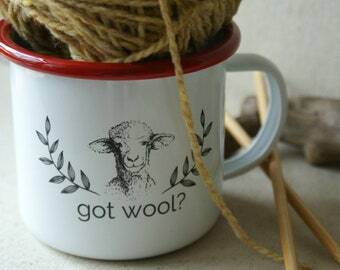 Welcome to knitter (formerly mama roots) where I truly believe in the power of crafting to slow down and connect with ourselves and each other. I love to play with wood and wool and enjoy sharing it here with you. Midwest mama living each day raising boys, reading books, making toys, knitting, raising chickens and drinking tea! I began my first company mamaroots in 2003 when my son was a wee little one. I have always been a "maker" but becoming a mama allowed me to focus my making surrounding motherhood. I began making toys out of a desire to provide my own children natural heirloom toys. I grew from there and am a hybrid style toymaker that loves montessori, waldorf and all things monster! Now that my babies are into their teens, I have changed my company name and image to mirror my developing craft identity- playing with wood and wool. I am a mama first and foremost, but I also work in fundraising for a youth organization. I make toys in the magical hours in between at my home all by hand. My scroll saw is named Ida and we have been together for about 10 years now and continue to grow together! I also enjoy blogging about knitting, raising boys, functional antiquing, and raising chickens in the heart of my urban living in my town. Thanks for joining me. I have been making toys in a sweet little midwest town for several years. Knitcher was formerly known as mamaroots. I spend my days meandering between boys, books, toy-making, knitting, chickens, and several cups of tea! Makes enamelware cups. I provided my design and this company created the cup for me. Welcome to knitcher- a mama based company rooted in providing in unique handmade products inspired by my love of wood and wool! My products are non-toxic and come from a smoke free home. Most of them are kid tested by my sons! I am a one-mama company- everything is made by my own hands- most often finished completely by hand after the inital cut. My toys are Waldorf inspired, non-toxic, kid tested, and mama approved! I work in the old-world tradition and inspiration of toymaking that has existed for hundreds of years. I am proud to bring this tradition to you. In the Waldorf tradition I leave features style in it's simplest form. This allows the child to project their emotions onto their play object. I use only natural materials that are by nature lead free: wood, wool, and cotton. I use AP certified watercolors in the Waldorf tradition to stain the wood and let the natural grain show and then seal with all natural food safe beeswax polish with no extra scents or essences- extra gentle and safe. The beeswax polish is local organic Missouri beeswax mixed with organic JoJoba Oil. My standard wood of choice is poplar. ** Please note that I use natural organic materials, I try to inspect the wood that I use for weaknesses, but the nature of wood it could break if dropped or hit- if breakage does occur please e-mail me and we can discuss replacement.